Listening to Martin Klein alone- just the one man and one piano- is an extraordinary experience, a thrilling sense of participation on the innermost thoughts of a creative musician. The singer-songwriter and piano player has progressed from being an insider-tip to a small institution, since he has been playing solo shows in Vienna just with an old keyboard and his powerful voice. Endlessly inventive, no two plays of him ever seem quite the same. 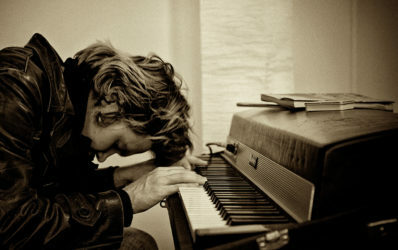 From broken rhythms to beautiful piano chords he has carved out a sophisticated niche of his very own. Martin Klein has a natural gift to tell a story through his music and his spectrum of vocal ability amazes. He doesn’t really seem to care about artistic pigeonholes and expectations. 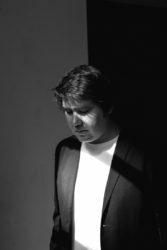 While his 2008 debut “Songs for My Piano” was recorded by a trio and featured songs in English, he surprised us with his second album “Lass uns bleiben”, which he recorded on his own and in German. He remained unpredictable on his third record: “Tracks from My Keyboard” is dedicated to more experimental Synthesizer sounds. The current opus “Lost Songs” is Dream-Pop deluxe. Highly recommended!